You’ve finally decided that this is going to be your year. You’re going to launch your online business, and you realize how critical having an effective SEO campaign is, but you’re not really sure where or how to start. And we don’t blame you, SEO has become a multi-discipline marketing practice that sometimes it’s hard to tell exactly what it entails. SEO is all about getting more organic traffic from search engines: your audience types a query related to your business, and they’re directed to your website’s services and products. 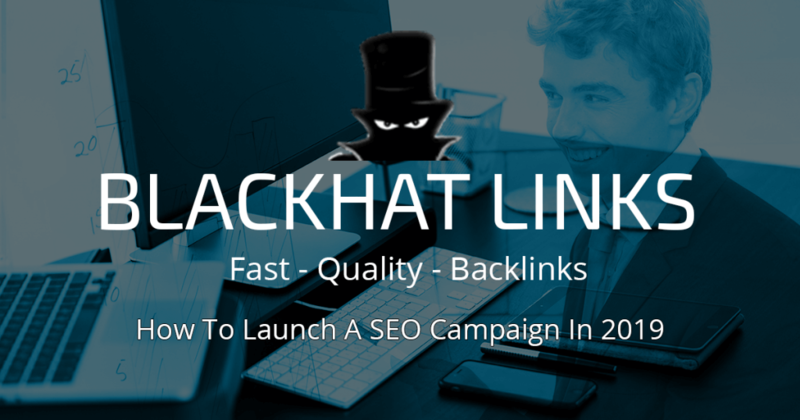 If you’re not familiar with blackhatlinks.com, we pride ourselves on delivering a high-quality backlink service that helps our customers get to the #1 spot in Google search engine page results for their targeted keywords. We’ve helped launch many SEO campaigns, with well over 15,500 satisfied clients that can attest to that. We’re good at what we do because we understand that SEO is .. Well, much more that its basic definition. It’s about technical optimization, high quality content creation, content promotion, conversion optimization and many other factors. In this post we’re going to address many of the factors behind a successful SEO campaign, so that you’re able to launch your own! When it comes to SEO basics, we’re looking to connect people, or more specifically, our prospects to our website’s content through search engines. The first step in any SEO campaign is understanding what our audience are looking in the search engines, and how we can deliver content that convinces them we have exactly what they need. Suffice to say, audience targeting is part of the SEO basics. By the way, If you’re running a business and wish to target local audiences, take a look at our Local Ranking Guide, you’ll find tips to leverage local ranking listings and specialized keywords. Keyword research is the foundation of any effective SEO campaign, we’ve detailed some of our favorite SEO tools for it, and we’re going to use some of these for this quick SEO campaign guide. You’ll want to come up with some seed keywords that best describe your niche (and competitors). If you’re offering your services, look for jobs listings that best describe what you do in a very broad way. If on the other hand, you’re looking to sell products, I recommend you head over to Amazon and browse categories that best describe your products. 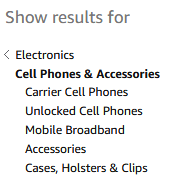 For example, if you’re selling cellphones and its accessories, check out the relevant Amazon categories and subcategories for possible seed keywords. Once you have a list of seed keywords, we’re going to use a series of tools to convert them into long-tail keywords that are highly targeted, and have effective traffic numbers behind them. Enter your seed keywords into this tool, and look for high value variations of them. Start building an Excel sheet with all of these, because we’re going to use other tools to help us determine if we can effectively rank for these keywords with our budget. Keyword tool is another absolute beast of a tool that I regularly use for my SEO campaigns. The Google category/tab is my go-to choice, but they’ve added eBay and Amazon tabs that can suggest golden nuggets in terms of traffic and conversions, so go ahead and check them out as well. Now that you’ve expanded your initial list of seed keywords to several long-tail keywords for your seo campaign, we’re going to come up with another list, straight from our competitors. You’ll often realize that your competition have already hired someone to run their SEO campaign. Which makes complete sense, since their time is often better spent on ensuring the quality of their products or making decisions that help reduce their costs. While they might have gotten the jump on you, in terms of how advanced their SEO campaign is, it also means that you can poach their targeted keywords list and come up with your own variants (or quite simply outrank them using PBN backlinks for your website, which is considerably easier in the long run). For this step, we’re going to need the help of other tools. AHREF site explorer tool is incredibly detailed and accurate in its data, but keep in mind that this is a paid tool. There are some trial versions you can use for your SEO campaign, and they are, in my opinion, well worth the money. Click on the Organic Keywords section of the “Organic Search” menu, and poach away! Keep in mind that websites often rank for a multitude of keywords and not all of them attract customers interested in buying products, so it might be a good idea to click on the “Top Pages” category for high performing keywords. 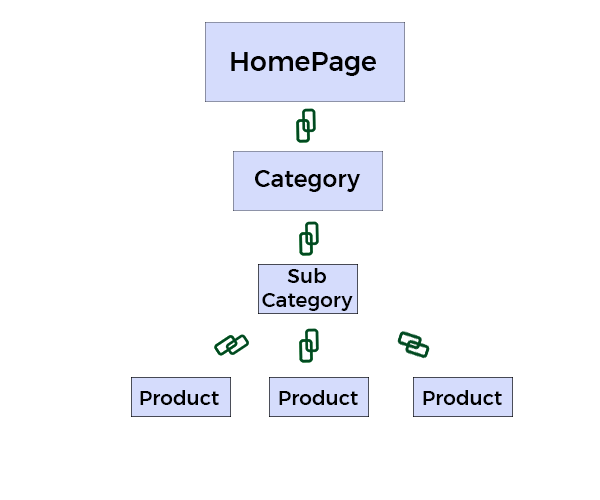 We recently published an Ecommerce SEO Guide that explains how you should structure your product pages, and the same principle applies here. I highly suggest you check it out. Positive User Experience, also known as “UX”, groups a wide variety of factors that make your prospects enjoy navigating through your content, and purchasing your products or services. Having a fast loading speed, for example is a big deal for users. We covered this extensively in our SEO Audit Guide, and with good reason. A general rule of thumb is to make sure all your pages are loading in under three seconds. 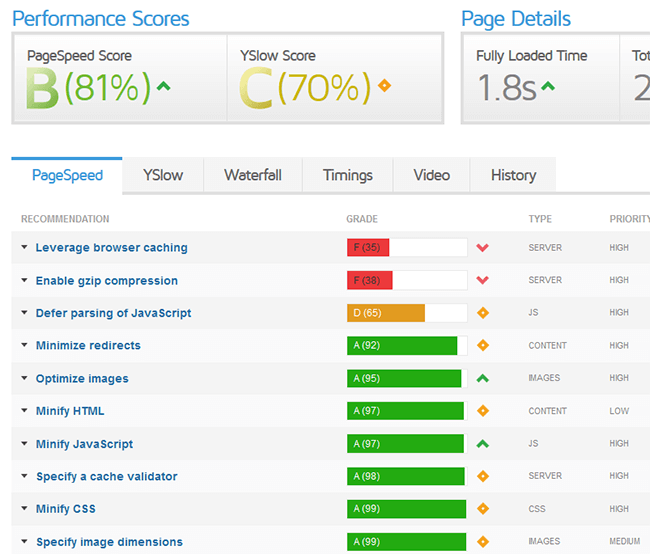 I recommend you check Google PageSpeed Insights tool, and thoroughly analyze your website for optimization opportunities. It’ll definitely pay off in the long run, and it’ll help you stablish standards and habits that’ll help your business grow in the long run. During our SEO checklist step by step article, we mentioned just how critical having a responsive website is. If your website can’t be accessed from mobile devices and tablets, then you’re effectively cutting down your traffics and sales, and depending on your industry, it can cost you up to over 50% of your prospects. Once you factor that into your conversion rates, you’ll see that investing in a responsive website is not really up to discussion. Remember, you got 50 milliseconds to convince your prospects that your website and its products are what they need. Make them count! Content planning for your SEO campaign heavily ties in with your keyword research and audience targeting, since you’ll need to produce and optimize content that will eventually, help you build your website’s Domain Authority and product’s PageRank. Content planning in your SEO campaign goes well beyond the text that presents your services, products and business to the online world, it also needs to take into account your Blog and possible guest posting opportunities. For now, let’s talk about your blog. Many business owners don’t see the point in having a blog, either because their industry is “boring” and “there’s nothing to talk or discuss about”, or because they quite simply don’t understand how a blog could help their company. Well, they’re wrong. Creating content for “boring” industries is certainly possible, and incredibly beneficial from an SEO standpoint. For your SEO campaign you’ll need to create what we call “linkable assets”. These assets, which can come in the form of a blog article, infographic piece or other multimedia content are created to boost brand awareness and traffic to your website. These, in turn, translate into links that help you build your website’s authority and ranking for keywords. So, consider your Blog as your link hub generator. You’ll be linking to pages inside your website (this is what people call inner links), and of course, backlinks that will come from social media, other websites, bloggers or even forums and other forms of online communities. Presenting this content in your SEO campaign in a way that captures your audience is challenging, which is why I always recommend hiring a copywriter (or an agency) that can help you with this. Many copywriters are familiar with SEO optimized content and even uploading and editing it so that it looks great on your blog. Once you’ve determined at what rate you’ll be generating links for your website (along with other informational posts that serve as linkable assets), it’s time to talk about how to properly optimizing them. On page Optimization are small tweaks you include on your written content to help Google know what your content is about, and help you achieve ranks faster. It’s fairly easy to achieve (especially) if you planned your content ahead, so there’s no reason to skip this important part of your SEO campaign. We’ve covered pretty much everything related to on page optimization in our complete SEO Audit guide and on our affordable small business SEO rundown, so we’ll keep things simple. Follow these quick pointers for every web page that has keywords assigned to it. Page title: Include your keyword in the title with a <h1> tag. Content Length: avoid thin content at all cost (pages with less than 400 words total). Try to be as close as possible to 1250 words. Media: Try to have at least one image for every 300 words of text. Include YouTube videos from your channel if possible. Subheadings And Structure: Organize your content with <h2>, <h3> tags. It boosts your topic relevance and allows you to rank for extra keywords. Outbound and internal linking: You should always link at least two to three pages of content on your website, as well as an outbound authority link. If you’re using WordPress, use SEO Yoast plugin, it automatically detects content optimization opportunities that you might’ve missed. You can’t launch a successful SEO campaign if you have zero plans as to how you’re going to get your website some much needed backlinks. Backlinks are all the websites that directly link to your site, with a dofollow or nofollow tag. Backlinks are a top three ranking factor in Google’s algorithm. The algorithm counts backlinks as vouchers for your content and website, and as you probably know, not all vouchers are worth the same. Having someone important in your industry vouch for your content, and consider your products and services to be top notch is the kind of signal Google actively looks before deciding how close to the #1 spot your content will be on the search engine results page. Now, say you’re selling cellphones, and a well-known authority in the diet pills industry links to your site, publicly vouching for your content, will Google consider that a strong indicative that your content and products are great? Well… Not exactly. As you can see, super high-quality backlinks are, at least initially, very rare in SEO campaigns. You’ll ideally want a good combination of these factors, so that your links are good enough to help you rank for your keywords. For example, if you buy PBN Backlinks for your website, and this particular website is related to your niche, but has around 20-25 Domain Authority, that still counts as a very good link. Well, because the first and most important criteria, topical relevance has been covered, and getting a multitude of links from websites with 25+ Domain Authority quickly helps your website build its own authority, and in turn help you rank faster whenever you publish new content. If the PBN is any good, you’ll get zero traffic (since it must remain private), but that’s okay, we’re merely trying to build enough authority for ourselves so that our organic traffic comes naturally every month. PBN backlinks also tend to be “one way” links, meaning you won’t be linking them back, which would in turn dilute its effectiveness. Blackhat SEO still works, or rather, Private Blog Network backlinks still work IF you purchase them from proven professionals. We personally have fulfilled over 152,000 orders to this date, and we manage to deliver excellent results at every time, simply because we run continuous iterations and invest in keeping all of our network safe and fed with unique SEO optimized content for our clients. The only reason this question repeats itself year after year is because someone bought a “Link Package” from Fiverr for their SEO campaign and got slapped with a penalty. Buying Web 2.0s post, and fake editorials is one thing, but buying a PBN backlink from a public network is a terrible, high-risk investment. You create linkable assets, such as informational posts or expert rundowns on topics that your audience is interested in, and promote them on communities, social media and on other websites. This sounds logical enough, but getting the experts to comment on your piece can already cost you time and money, not to mention actually getting them to feature it on social media or convincing them to drop a backlink to your blog. Those negotiations take time and money, after all, their blogs are a business. You pick an existing piece of content in your industry, and add your own input and spin to it so that it’s better, and then promote the hell out of it, since you’re guaranteed to get a positive response out of it. Again, a very logical approach but the time and money you’ll invest into this could be considerable. Creating this level of quality content requires research and time. And that’s time your competitor is sitting on the #1 spot while you struggle. Whitehat SEO campaigns are, in nature, very costly. Much more so than Blackhat SEO campaigns. Do some whitehat SEO in your spare time, and invest in professional PBN Backlinks right from the get go. We at blackhatlinks.com have a complete SEO planner you can use, so that you drip feed your website with safe PBN backlinks that will put you in the top spots for your keywords, this way you can reinvest some of your earnings into Whitehat SEO that can diversify your website’s backlink portfolio and continue to build your Domain Authority. Not long ago we wrote an article on Social Signals for SEO, it’s clear that Social Media needs to have a role in your SEO campaign. Google understands that quality products, services and content are discussed on social media. It’s natural human behavior to share and recommend others the things we like, and are interested in, and it’s precisely why they’ve started recognizing these positive social media signals as something their algorithm and Rankbrain needs to consider. Social Media signals in the SEO world are especially useful because they mask obvious Greyhat or Blackhat activity, and substantially increase the impact of any Whitehat efforts. We’ve fulfilled over 33,000 orders and we’ve tracked some serious long-term SEO benefits for our clients, mainly because of the social authority they’ve built thanks to our services and their diligent follow-up and tracking. Integrating your social media with your blog is fairly easy, especially if you use WordPress since there are plugins specifically coded to help you with this. We also designed a tool that serves as social media shares checker so that you can keep track of activity and positive signals instantly along with our in-depth Social Signals Package that feeds your accounts and posts with interactions that Google loves to track, and are guaranteed to attract new customers and boost your social media authority. The most popular tool we can recommend is Google Analytics. It’s very easy to integrate with your search console and website, and it provides you with a wealth of data that you can conveniently filter and analyze to figure out how you can boost your conversions and retain effective traffic. We also wrote a very detailed guide on how to use Google Analytics for SEO, so we highly suggest you check it out before officially launching your SEO campaign. We’ve outlined some of the most important reports you need to look at to guarantee your users are happy and your sales channels are properly working. Tracking the results in your SEO campaign can also help you optimize your conversions over time. Having an effective SEO campaign is fundamental for your business growth, but once your prospects are browsing your products and services, you also want them to convert. This is called Landing Page Optimization and you’ll need data you can track if you want to be any good at it. We’ve seen some huge shifts this last year in the SEO industry, but the dust has finally settled since the last algorithm update (especially for websites in the health industry! ), and this year looks like an excellent year to launch your business’ SEO campaign! Take your time reading through this guide and all the other articles we’ve linked throughout the different sections, all the information you need to get to the top spot in Google is right there!